$10.740 million on 1661 screens. For those who think all animated films are made for little kids, 2009’s 9 acts as counter-evidence. In this dark tale, humans essentially go extinct, so a scientist (voiced by Alan Oppenheimer) creates a series of sentient dolls to continue life among the ruins. Into this setting “9” (Elijah Wood) awakens. As he wanders the desolate, gadget-dominated landscape, he meets a sibling named “2” (Martin Landau). The pair soon lose touch, however, as a mechanical beast abducts “2”. However, “9” gets rescued by “5” (John C. Reilly) and meets others of their kind. Among them, “9” encounters leader “1” (Christopher Plummer) and hears the tale of how the world came to this point. “1” tells of the war between humans and machines that led to the extermination of all living things. The dolls survive in hiding as they avoid a creature that stalks them – the beast that made off with “2”. “1” feels that “2” is a lost cause, but “9” feels an obligation to rescue his friend. “9” manages to recruit help as he attempts to save “2” and also find answers to a variety of mysteries. Writer/director Shane Acker adapts 9 from his short of the same name. The feature film literally runs eight times as long as the original effort, and the project tends to show strains from that expansion. Simply put, the 80-minute 9 doesn’t possess a lot of drive, and it often feels like a short concept stretched out to a greater length. Not that this makes 9 a bad film; it’s just one with a rather thin plot and mediocre character development. We rarely get a feel for story/participants beyond what could’ve come out in a much shorter version. Those aspects of the movie tend to remain pretty superficial, and that causes some problems. This seems especially true as it relates to the war that left the world in such miserable shape. 9 gives us some basics about those events but doesn’t ever really bring us up to snuff. Perhaps that makes sense, as the film prefers to keep its characters off-balance, but it doesn’t work for the viewer. The lack of background and exposition keep us a bit distanced from the movie’s tale; sure, we get more info as the movie progresses, but we never quite learn enough to feel very invested in the situations or personalities. It probably doesn’t help that 9 often feels like a compendium of influences. Acker clearly watched the original Star Wars trilogy about a million times, as links to that series abound. Heck, one music cue even sounds an awful lot like the “Imperial March”! 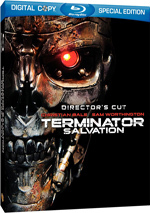 Other cinematic connections occur, with the Terminator series providing the clearest story inspiration. 9 doesn’t directly steal from these sources, but it comes close, and the links seem a little too heavy for comfort. Despite these problems, I think 9 offers an acceptably entertaining tale. It does absolutely nothing to reinvent the wheel, as its story and characters are generic to the point of almost being trite. Nonetheless, Acker stages the film’s abundant action sequences with real flair, so that adds spark to the proceedings. I also have to say that 9 looks very good. Acker creates a minor twist on the usual “post-apocalyptic wasteland” theme, and it’s an interesting landscape. The movie boasts definite visual intrigue, even if direct influences remain clear; I can’t be the only one who thinks “8” looks a whole lot like Oogie-Boogie from The Nightmare Before Christmas, can I? While it provides moderate entertainment, I must say that 9 ends up as a disappointment. The movie has occasional flashes of inspiration, and those make its general mediocrity more of a letdown. This is a watchable film but not one that stands out as great. 9 appears in an aspect ratio of approximately 1.85:1 on this single-sided, double-layered DVD; the image has been enhanced for 16X9 televisions. Given the restrictions of standard-def DVD, 9 really looked quite good. My only mild complaints related to sharpness. While most of the flick showed very nice clarity and delineation, wide shots tended to suffer from mild fuzziness. However, that reflected the limitations of the format more than anything else, so I didn’t think the softness was much of a concern. No issues with jagged edges or moiré effects appeared, and edge enhancement remained absent. The movie also failed to display any source defects, as it remained clean at all times. Colors worked well. 9 went with a subdued palette that usually favored a brownish tone. Within the visual choices, the hues looked good, and challenging colors like intense reds appeared tight and well-rendered. Blacks were dark and rich, while shadows demonstrated nice smoothness and clarity. This was a pleasing presentation. In addition, the Dolby Digital 5.1 soundtrack of 9 really satisfied. The soundfield appeared broad and engaging throughout the movie. All five speakers got a strong workout as they displayed a lot of discrete audio. This made for a convincing environment as we heard plenty of atmosphere, and objects swirled actively and appropriately about us. Of course, the action scenes worked the best, but even quieter scenes displayed a good sense of environment and involvement. Sound quality also appeared solid. Dialogue was crisp and distinct. Speech showed no signs of edginess or any problems related to intelligibility. Effects were always clear and dynamic, plus they displayed virtually no signs of distortion even when the volume level jumped fairly high; throughout explosions, crashes, and various engines, the track stayed clean. Music sounded appropriately bright and accurate and portrayed the score appropriately. The mix featured some pretty solid bass at times as the entire affair seemed nicely deep. All in all, the soundtrack worked well for the material and didn’t disappoint. When we head to the supplements, we launch with an audio commentary from writer/director Shane Acker, animation director Joe Ksander, head of story Ryan O’Loughlin and editor Nick Kenway. 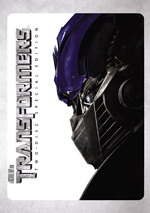 All four sit together for this running, screen-specific look at the storytelling and characters, the flick’s tone and visual design, cast and performances, animation issues, music, and a few other production areas. While the quartet of commentators get into things in a reasonably good manner, I can’t say this ever becomes a particularly insightful track. We find a lot of fairly general notes and too much praise as well. We do get a decent amount of info here, but don’t expect anything especially vivid or memorable. The disc allows us to see 9 - The Original Short. It runs 10 minutes, 33 seconds and shows “9” and “5” as they fight the beast. I think it works better than the feature film. The short goes with wordless characters and creates a good mood and sense of intrigue, whereas the full-length version is a lot more conventional. We can view the short with or without commentary from Acker and Ksander. They give us some facts about the film and its creation. With such a brief running time, they don’t get to say much, but they add some nice insights. Five Deleted Scenes fill a total of seven minutes, 24 seconds. These include “The Truth Revealed” (1:23), “Throw Me the End of Your Rope” (1:37), “The Fall Out” (1:20), “Taking the Offensive” (1:24) and “The Scientist’s Legacy” (1:39). All of these appear as story reels; these combine storyboards with basic music, sound and dialogue. “Truth” provides a bit more exposition about how the machines conquered the world, while “Rope” offers a smidgen of action. “Fall Out” shows reactions to 9’s actions, “Offensive” gives us deliberations between 1 and 9, and “Legacy” throws out a little more for the epilogue. All of the clips are reasonably interesting, but none of them add much to the experience; I can’t say any of them would’ve changed things for the better. Three featurettes follow. 9 - The Long and The Short of It lasts 16 minutes, 27 seconds and provides notes from Acker, O’Loughlin, Ksander, supervising animator Kristin Solid, producers Timur Bekmambetov, Tim Burton and Jim Lemley, screenwriter Pamela Pettler, story artist Regina Conroy, production designer Robert J. St. Pierre, visual effects supervisor Jeff Bell, and actors Elijah Wood, Jennifer Connelly, Crispin Glover, and Martin Landau. “Long” looks at the creation of the original 9 short as well as the development of the feature film. “Long” occasionally touches on material heard elsewhere, but it usually gives us new info, and it covers the production’s genesis pretty well. The show gives us a nice recap of the various issues. 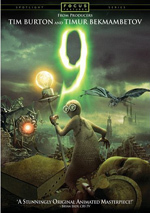 The Look of 9 goes for 13 minutes, 13 seconds and features Acker, Wood, Bekmambetov, St. Pierre, Pettler, Lemley, Burton, O’Loughlin, Conroy, Ksander, Solid, head of production Matthew Teevan, supervising animators Morgan Ginsberg, Daryl Graham, Adam Beck and Charlie Bonifacio, art director/DP Kevin R. Adams, art director Christophe Vacher, effects supervisor Warren Lawtey and animation department head David Baas. 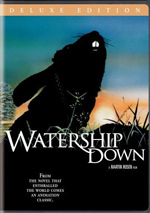 This program looks at the film’s visual design in terms of sets, characters, and cinematography. Despite a little too much self-congratulation, we still get good details in this short but informative piece. Finally, Acting Out runs four minutes, 53 seconds and includes statements from Acker, Ksander, Baas, Beck, Bonifacio, Graham, and Solid. Though I thought this program would look at the voice talent, instead it focuses on the work of the character animators. It does well in that regard, as it shows interesting footage to demonstrate the animators’ efforts. A few ads open the disc. We get promos for Taking Woodstock, Focus Features, Blu-ray Disc, Heroes, The Perfect Getaway and Despicable Me. No trailer for 9 appears here. Given its interesting characters and themes, I had high hopes for 9. Alas, the end result lacks much to make it special. While I think the movie looks really good, the rest of it seems pretty ordinary. The DVD offers solid picture and audio as well as a positive collection of supplements. While I wasn’t wild about the movie, I thought the DVD served it well.